JAKARTA, Feb. 25 (UPI) -- A strong aftershock -- the ninth strong tremor since Sunday -- struck off the coast of Sumatra early Tuesday, local time, the U.S. Geological Survey reported. The latest quake measured 6.3 on the open-ended Richter scale. No damage or deaths have been reported, CNN reported. The temblor struck shortly after 1 a.m., local time, Tuesday (1 p.m. EST Monday) about 540 miles northwest of Jakarta, Indonesia, and 100 miles southwest of Padang on Sumatra, the USGS said. Indonesian officials earlier had canceled a tsunami warning triggered by a 7.2 magnitude tremor Monday and no new alert was posted. Monday's quake rocked Indonesia's Bengkulu province, and was felt in Jakarta, Singapore and several other provinces, China's official Xinhua news agency reported. The epicenter was about 102 miles southwest of the city of Muko-Muko in the province and about 6 miles under the seabed. 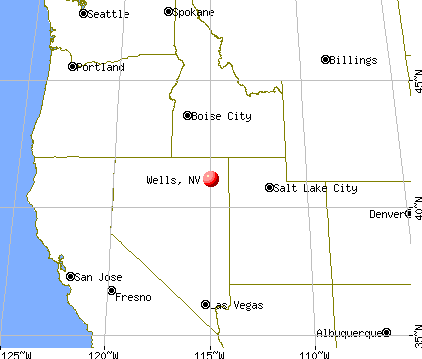 NEVADA - Officials trying to assess the damage of a magnitude-6.0 earthquake in the northeastern Nevada town of Wells are facing new challenges. Dozens of aftershocks are forcing government officials to reinspect buildings to determine if they are safe to be occupied. "Once we've assessed them, we have to go right back out and assess them again." 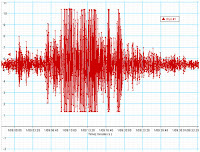 Thirty-five aftershocks of 3.0 or larger, including one of magnitude 4.8, had rattled the Wells area as of Friday afternoon – a day after the quake struck at 6:16 a.m.